Antoine Griezmann is the French soccer player, the forward of Atlético Madrid and the French national team. The young player has entered the world of soccer quickly and transformed from an unknown French young man to the star admired by millions of fans in just two years. Antione is often compared to two soccer legends, Lionel Messi and Cristiano Ronaldo; there are many expectations related to the forward whose results will probably leave behind the present-day soccer stars. 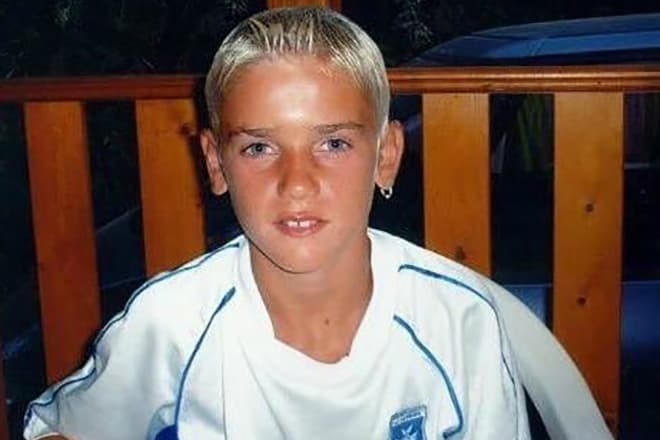 Antoine Griezmann was born in spring 1991 in East France, in the old city Mâcon, the Burgundy region. The soccer player has German, French, and Portuguese roots. The forward’s second name reminds of the father’s origin; the mother Isabelle Lopes was born in France where her Portuguese parents moved before their daughter’s birth. 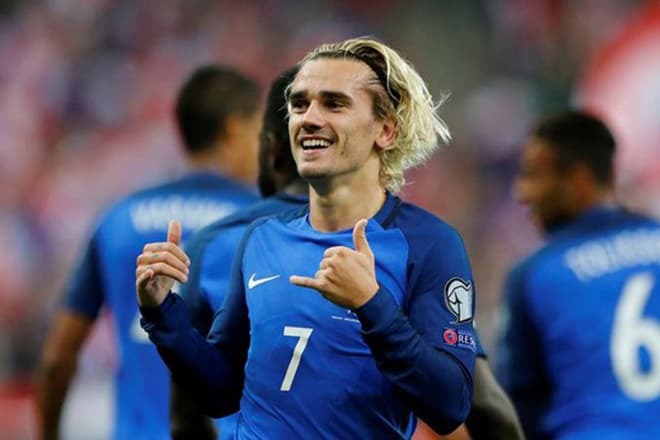 The boy was to become a soccer player: the father Alain Griezman used to play in his youth and started training the Championnat de France Amateur 2 team “Mâcon” later. The grandfather from the maternal side was also interested in soccer, but he had to quit sports because the job in the construction sphere brought better earnings. Two generations’ dreams manifested themselves in the son and grandson. However, the French forward’s early career was challenging: the young man seemed to be tested by higher forces. The thin, not tall boy who could easily catch a cold did not attract much attention of prestigious clubs and teams. The boy changed 3 teams before 14; the trials in Olympique Lyonnais, Auxerre, and Saint-Étienne were not successful for Griezmann. Today, the sportsman has overcome the regrettable problem. Regular, hard training turned the shrimpy body into the bundle of muscles. Today, the soccer player’s weight is 72 kg., and his height is 175 cm. It was the experienced scout for Real Sociedad Eric Olhats who noticed the promising young man first. With his trained eye, he realized that the 13-year-old boy who was allowed to appear on the field 10 minutes before the end of the children’s competition had a potential. Olhats invited the teenager for a week to San Sebastián, Spain. Griezman stayed there for two weeks and managed to master his skills in this short period. Besides, he persuaded the club administration he was a promising player. There were several problems: Antoine did not speak Spanish at all, and there were no vacant places at the boarding school for young soccer players. Eric Olhats became the boy’s guardian angel for the second time: he gave him shelter in his own house. In the morning, Griezmann went to school, and he practiced in the evening. The young forward adjusted to the team and polished his technique. Two months later, Antoine could fluently speak Spanish with his peers. In 2009, the sportsman debuted in Real Sociedad. The determined boy was lucky again: the coach Martín Lasarte urgently needed a talented left-handed player. Initially, Bingen Erdozia was transferred from the reserve, but he left soon because of a trauma. It was Antoine Griezmann who replaced him. The young forward joined the first eleven in the shortest period: he scored goals in significant matches splendidly. The game against Rayo Vallecan was Antoine’s first official match: he came to the field in the last minutes and scored a goal. Managers and fans of the Spanish club marked the French player’s rapid progress. In 2013, the forward was recognized as the leader of Real Sociedad. In 2014, the club offered the young star a new contract, but Griezmann refused to sign it. Atlético Madrid bought the player for €30 million. 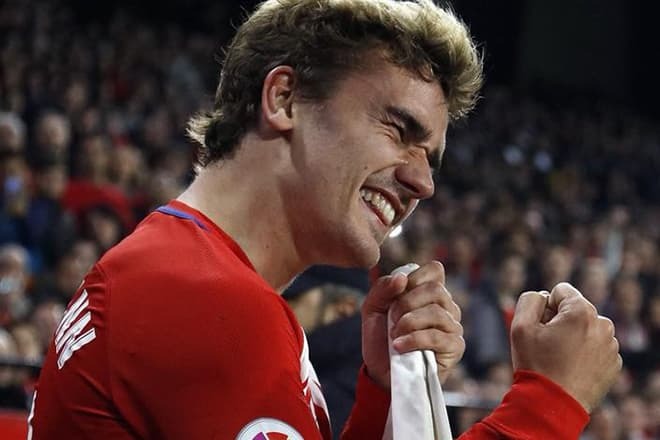 The administration of the Madrid club appreciated the new player: Antoine adapted to the new conditions quickly and pleased the training staff and fans with a series of goals in strong opponents’ gates. In 2014/2015 season, Antoine Griezmann demonstrated the debuting hat trick in the game with Athletic Bilbao. In the end, Athletico Madrid won; the score was 4:1. Later, the forward scored one of the goals in the dramatic match with Real Madrid. Again, Athletico Madrid gained the victory (4:0). In the next season, the player kept his status of the best attacking player in Athletico and helped the team reach the final of the UEFA Champions League. Thanks to Griezmann, the club kicked Barcelona and Bayern Munich. 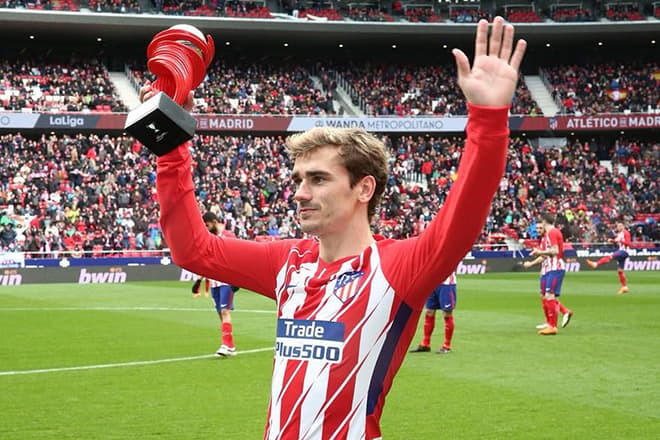 Antoine’s achievements were noticed; following his season results (including his successful performance at Euro-2016), the forward was a nominee for Ballon d'Or, but Cristiano Ronaldo got the prize in the end. In 2010, Griezmann was offered to play for the national team. The sportsman debuted in the game with Ukraine and scored the winning goal at the 88th minute. In summer of the same year, the 19-year-old player was invited to the UEFA European Championship where the forward scored 2 goals for the national team. In 2014, the player had five successful games in the European Championship as a French national team member. In 2016, Griezman became the best player and the best attacking player in the competition. Based on the results, only Michel Platini managed to surpass him. In 2011, the forward met the Spanish girl Erika Choperena. The couple started living together soon and continue to live in Madrid. They spend their vacation on the coast of the Atlantic Ocean in Miami. In spring 2016, Erica gave birth to the girl; her name is Mia. 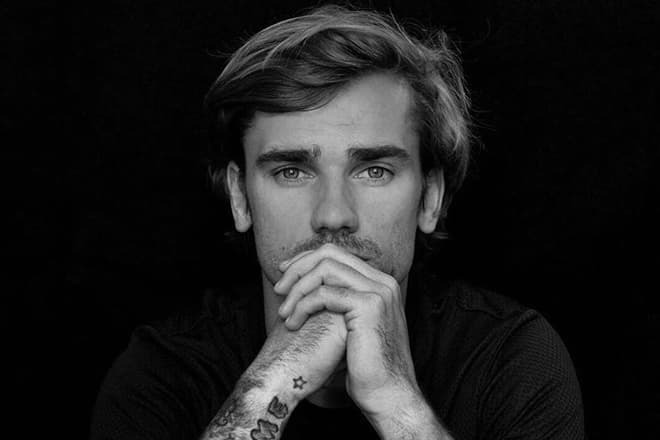 The player’s Instagram page is full of his daughter’s photos, but Griezmann does not want to show the girl’s face: in the majority of the pictures, Mia stands with her back to the camera. 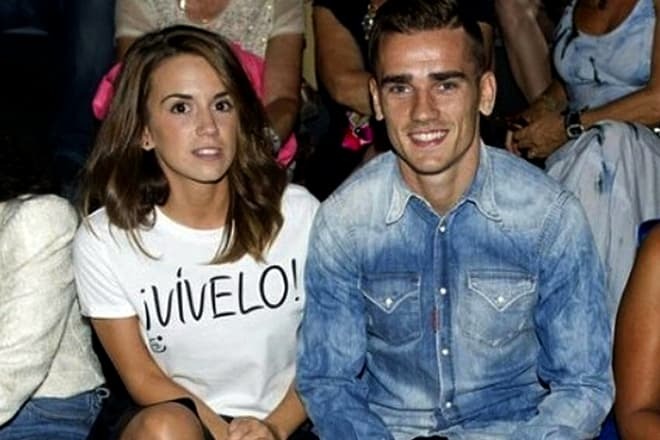 Antoine Griezmann devoted his Euro 2016 goal to his dear daughter. The star forward’s wife does not like publicity; there are no provocative photos on her Instagram page. The charming woman has recently begun to write a blog about fashion; her taste is impeccable, and she knows much about the industry. Besides, Erika is fond of cooking, and she often prepares delicious desserts for her husband. In April 2018, the forward’s performance statistics was good: in 202 games for Atlético Madrid, he scored 109 goals. 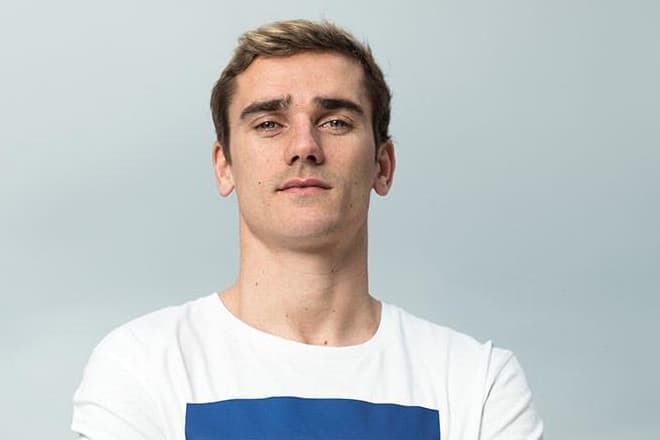 In spring 2018, Barcelona and Atlético Madrid signed a gentleman agreement on Antoine: if the player leaves Atlético, the Catalonian club will accept him. In April, the media got the information that the Madrid club wanted to keep the player so much that it was ready to increase his earnings to the level of Cristiano Ronaldo. Atlético managers reportedly offer the contract that implies the €20 million annually.